La Roche are Manufacturers of Reinforcement Bar Bending and Bar Cutting Machinery. Construction Machinery and ancillary equipment for the Concrete Industry. Cranking Irons ​and Concrete Power Trowels. 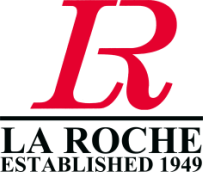 La Roche have a division which hires La Roche Rebar Bending and Rebar Cutting Machines to Companies who need to use them on site for a few weeks or may have a requirement for machines where they need extra capacity for their own output. La Roche also hire rebar correction tools, which can bend and straighten rebar up to 32mm.